Have you set your 2019 metals budget? 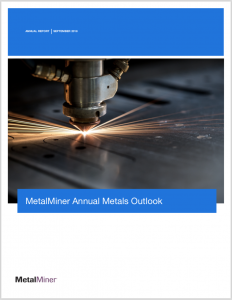 Make sure your purchasing strategy is sound with MetalMiner’s free 2019 Annual Metals Outlook! 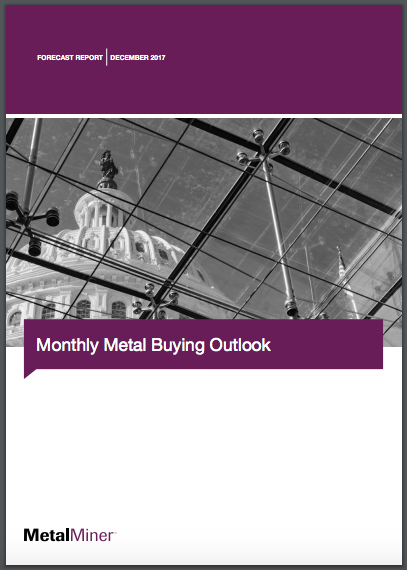 Arriving just in time for budgeting season, this report contains the unique insight, analysis and tools you need as a metal buyer or manufacturer to know when and how to make the buying decision — including expected average prices, support and resistance levels. This free, downloadable PDF is one of MetalMiner’s most valuable pieces of content and includes coverage of commodities markets, industrial metals markets and key price drivers for aluminum, copper, nickel, lead, zinc, tin and steel (HRC, CRC, HDG, Plate). By understanding these price drivers, you can pinpoint exact price levels and make the appropriate changes to your sourcing strategy for that particular metal. You will be also be able to react when the market gives clear signs that a new trend is developing, and stay hedged as long as that trend lasts. While the 2019 Annual Metals Outlook report is free of charge, we do recommend you pair it with a subscription to our Monthly Metal Buying Outlook report in order to get the most valuable, up-to-date information and analysis of market conditions. MetalMiner’s Monthly Buying Outlook report for December is now available! Sharpen your sourcing strategies for buying aluminum, copper, nickel, lead, zinc, tin and multiple forms of steel, complete with our coverage of drivers, market commentary, polished charts and more. If you’re a metals buyer in North America, this is the ideal report for you. The report provides short- and medium-term industrial buying strategies for the rest of the metals that you buy, helping you avoid unnecessary spending. Repercussions of the Tax Cuts and Jobs Act. The House of Representatives passed the bill in November, and the Senate followed suit on December 2. The legislation could have a big effect on the steel and manufacturing industries. Individuals, small- and mid-sized manufacturers are encouraged to subscribe to our annual buying outlook. You can sign up at any time and receive the next 12 monthly reports emailed directly to you. Learn more and subscribe today! 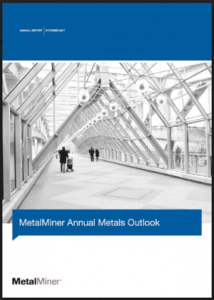 Hot Off the Press — MetalMiner’s 2018 Annual Metals Outlook! Have you set your 2018 metals budget? Make sure your purchasing strategy is sound with MetalMiner’s free 2018 Annual Metals Outlook! Arriving just in time for budgeting season, this report contains the unique insight, analysis and tools you need as a metal buyer or manufacturer to know when and how to make the buying decision – including expected average prices, support and resistance levels. While the 2018 Annual Metals Outlook report is free of charge, we do recommend you pair it with a subscription to our Monthly Metal Buying Outlook report in order to get the most valuable, up-to-date information and analysis of market conditions.